Room 20 @Sunnyhills: Inspired by the Beijing Water Cube! Maths and Technology join forces in this Storm of Ideas! Inspired by the Beijing Water Cube! Maths and Technology join forces in this Storm of Ideas! 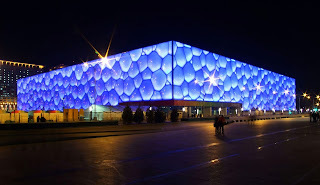 One of the sports stadiums we looked at was the Water Cube in Beijing which was built for the Beijing Olympics Aquatics. 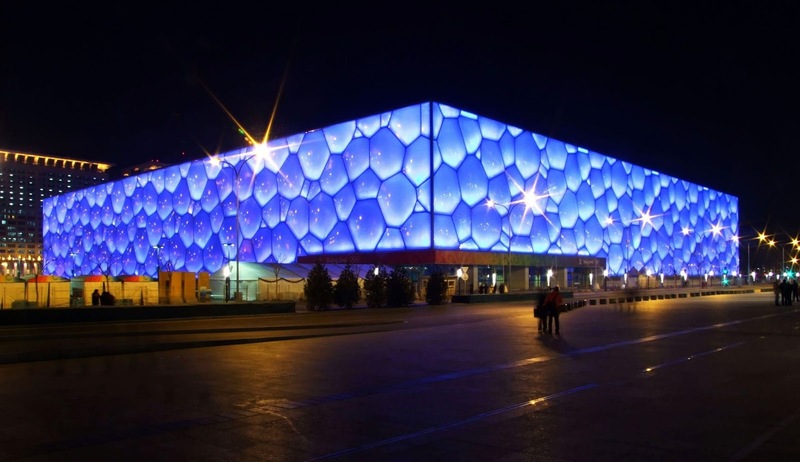 We talked about why the Architect chose to design the building like this. What does it remind you of? Water, molecules, ice, bubbles, floating - use your imagination! So we set about making our own mini stadium using paper, card, sellotape and a secret material to wrap it all up in! The shape of our stadium was begun with a hexagonal base. Then we had to roll paper to make cylinders. Next we chose the triangular frame shape to hold our wall up as we noticed the beams in our classroom were triangles so we decided they must be the strongest shape. So here is the frame work all sturdy and strong! You are very talented Room 20. Room 11 says good job building the stadium. It looks cool!